Last August, Sony announced not one, but two constant f/4 standard zoom lenses for their APS-C mirrorless cameras: The Carl Zeiss 16-70mm f/4 OSS (Reviewed Here) and Sony’s first G lens for the E-Mount: The PZ 18-105mm f/4 G OSS, which I’ll take a close look at today. The 18-105mm f/4 covers a nearly 6x zoom range from wide-angle to medium telephoto, all while maintaining a constant lens length and a constant f/4 aperture. 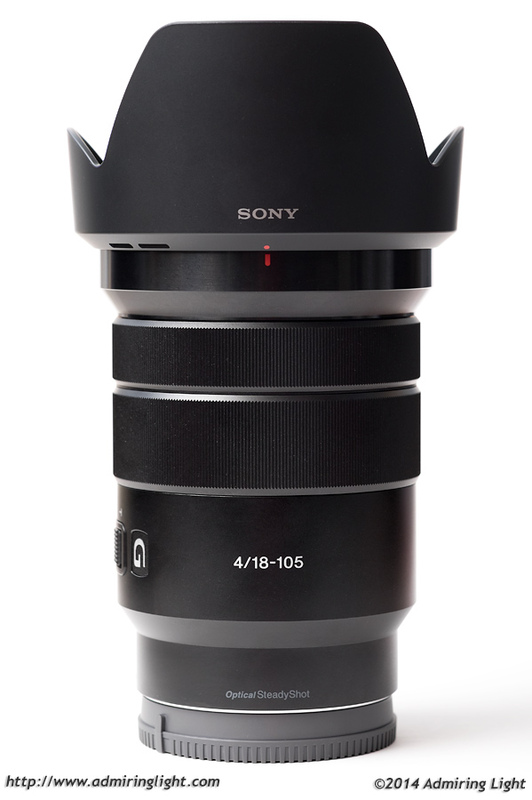 Sony also made this lens a power zoom lens, as a nod to videographers. This ambitious design also is ambitiously priced. The $599 price tag is a full $400 less than its Zeiss brother, which begs the question: Can this lens really live up to the G moniker at this price point? To get the obvious out of the way after looking at the picture above, the Sony 18-105mm f/4 G OSS is a large lens for a mirrorless camera. Given the large zoom range and the constant f/4 aperture, this is to be somewhat expected, but it does make the camera+lens combination less than ultra-compact. However, if you’re packing this lens, it is likely as a single lens replacement for several other lenses, and in that context it’s really not too big. What makes the lens manageable is that despite its size, it’s very lightweight. Picking up the lens is almost bizarre, as the expected heft from a lens this size just isn’t there. Despite the light weight, the lens is very solidly constructed, living up to the G moniker in this department. The lens barrel is metal, with high quality plastics making up the zoom and focus rings. There are no creaks or wobbles anywhere in the construction. It’s light, but it feels high quality. Both the zoom and focus rings operate very smoothly, though I do wish for slightly more damping on the focus ring. The one area on the lens that does feel slightly flimsy is the additional power zoom rocker, which operates smoothly, but with less resistance than I’d prefer. Still, it’s not bad in any way. Included with the lens is a reversible petal-type lens hood that locks solidly into place. With the hood attached, the lens looks truly massive, but it does a nice job at shielding the lens from sunlight. The wide hood does make the lens very large in diameter when the hood is reversed for storage. One more thing: for some reason, the front element on the 18-105mm is among the hardest to clean of any lens I have ever used. I got a little bit of water spray on the front element, and usually that can be cleaned right off with a microfiber cloth or a lens pen. I swear it took me nearly 10 minutes to get the water spots off the front element. I am normally not a UV/protector filter kind of guy, preferring to use filters only when they have a photographic purpose, or if I’m shooting in extreme conditions with blowing sand or water, but I purchased a Hoya HD UV filter (which has extremely strong glass and exceptional coatings that are a breeze to clean) just so I don’t have to clean the front element on this lens. As mentioned in the previous section, the 18-105mm f/4 G is a large lens, but its light weight means that it still handles relatively well on my NEX-6. The length dictates that you support the lens barrel for the best stability, though it can be shot one handed if needed. The 18-105mm focal range, which has an equivalent field of view of a 27-158mm lens on a full frame camera, is an extremely useful range for a single walkaround lens. While the wide end seems to be a bit longer than the marked 18mm (framing is similar to 19mm on the Zeiss 16-70mm and my Fuji 18-55mm), the ability to have everything from wide-angle to medium telephoto in a single lens with a constant f/4 aperture makes the lens extremely versatile. If you only want to bring one camera and one lens, it’s a very handy optic to use. Being a power zoom lens, there is no direct mechanical coupling to the zoom mechanism. I was quite worried that this would be supremely annoying in use, as I have experienced some power zooms that can be frustrating in use. However, Sony has done a great job with the power zoom implementation. There are two methods to zoom the lens: a wide to telephoto rocker switch on the left side of the lens, and a traditional zoom ring in the middle of the lens. The rocker switch is very useful for shooting video, as it allows for smooth control of zooming at a variety of speeds. However, for still shooting, most photographers (myself included) prefer a twisting zoom ring. The zoom ring allows the lens to zoom smoothly and quickly, and while there is a very small amount of lag, it reacts responsively and feels about as close to mechanically coupled as you could hope for a power zoom implementation. Zooming is completely internal and almost completely silent. I adjusted to the power zoom usage very quickly. With no markings for focal length on the lens barrel due to the power zoom, the camera displays the current focal length in the viewfinder. The one down side to the power zoom implementation is that it sets itself to a ‘park’ position (somewhere in the middle of the zoom range) when you turn off the camera, and then resets itself to 18mm when the camera is turned on. It would be nice if the camera could remember the last zoom position and reset to that position when powering on. The autofocus motor in the PZ 18-105mm f/4 G is relatively quick and silent. Focus is achieved quite quickly in good light and even has passable speed in lower light. Overall focus accuracy was very good, except when shooting in lower light at the long end of the zoom range. For some reason in lower light, the lens had a tendency to miss focus just slightly when shot at 105mm, so it’s worth watching your focus point in dimmer light if you need the reach. 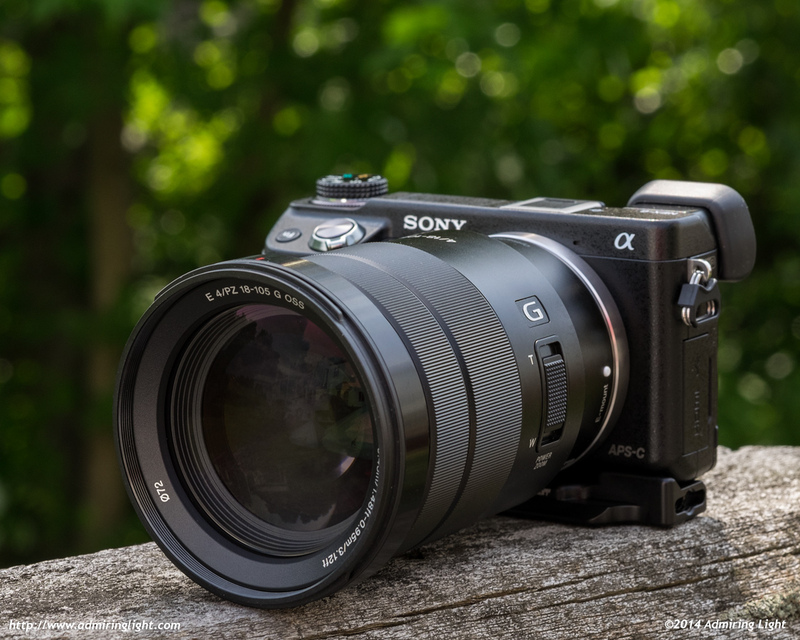 The 18-105mm features Sony’s Optical SteadyShot image stabilizer, and the OSS works as advertised, allowing for sharp shots at shutter speeds 2-3 stops slower than would otherwise be possible. While not among the best stabilizers I’ve used, this is a competent performance. Thanks for the really useful review. Was thinking of getting this lens for general use to replace the kit zoom of the Sony a6000 (which I never liked). I wanted to know how badly the distortion correction was going to affect the final image output as I tend to shoot a lot of low light, and it doesn’t seem too bad. If you want to understand the pro’s and con’s regarding the Sony 18-105 Lens based a well thought out presentation then read this, well done, and intelligently offered. Hi, I would like to know how much more sharper is this compared to my 16-50 PZ kit lens on my Nex-6? Is it worth to spend the money on this lens? Excellent review. 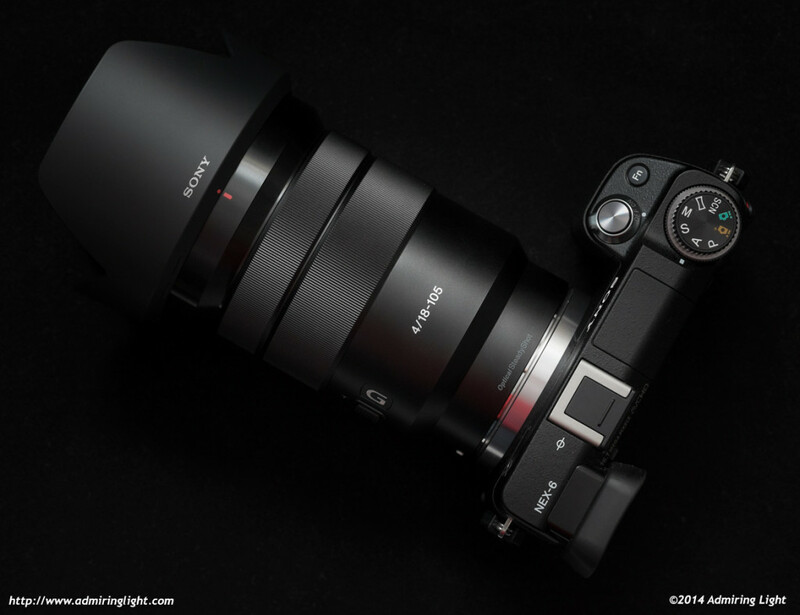 The conclusion must be the same for Sony A6000? Pingback: ??????E?????? E PZ 18-105mm F4 G OSS??????? | ???????????? ?